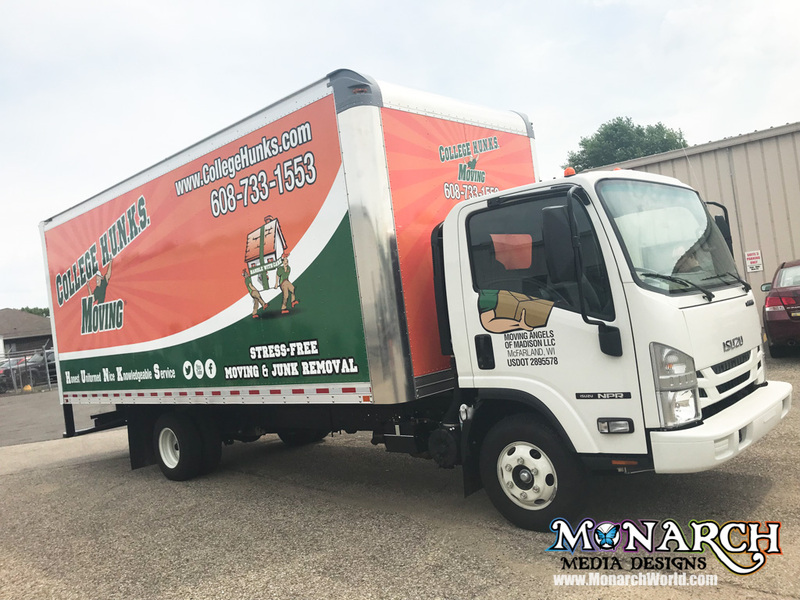 Big or Small, We Can Wrap It All! 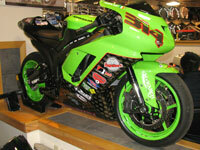 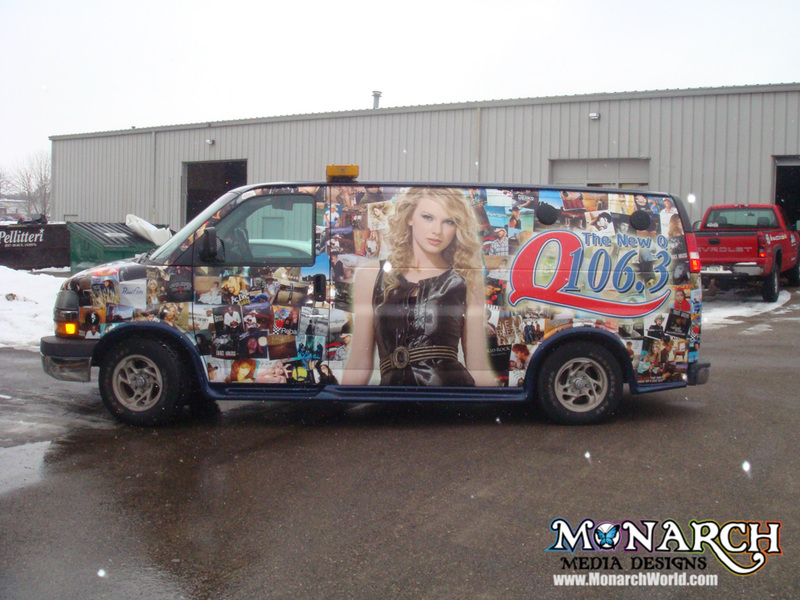 We specialize in vehicle graphics and vehicle wraps, but we are awesome at a bunch of other stuff too! 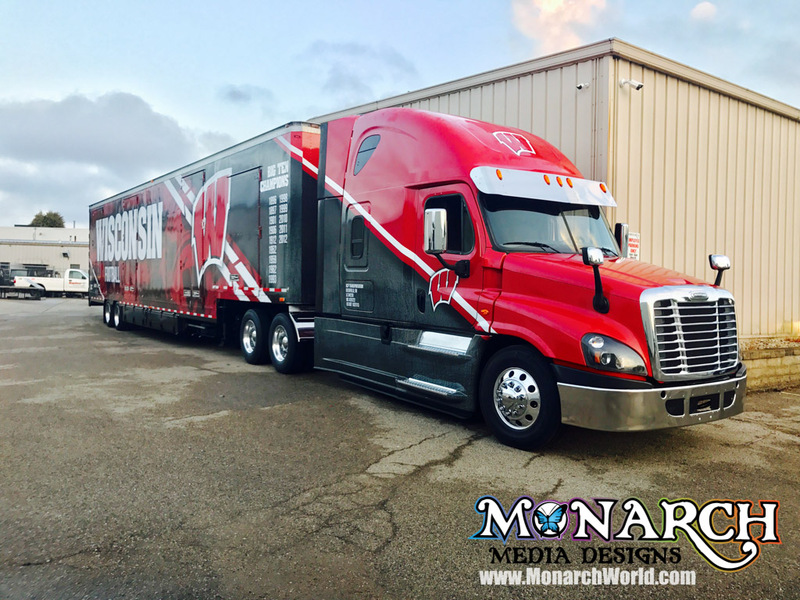 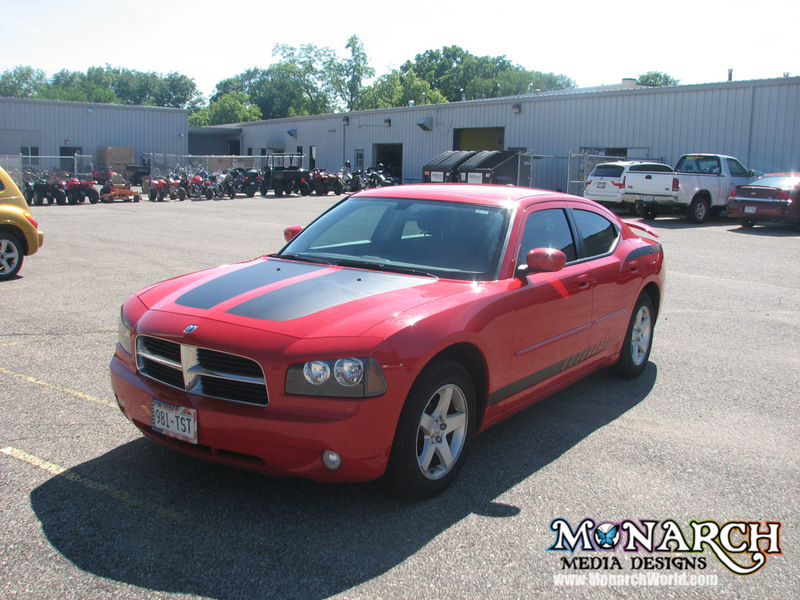 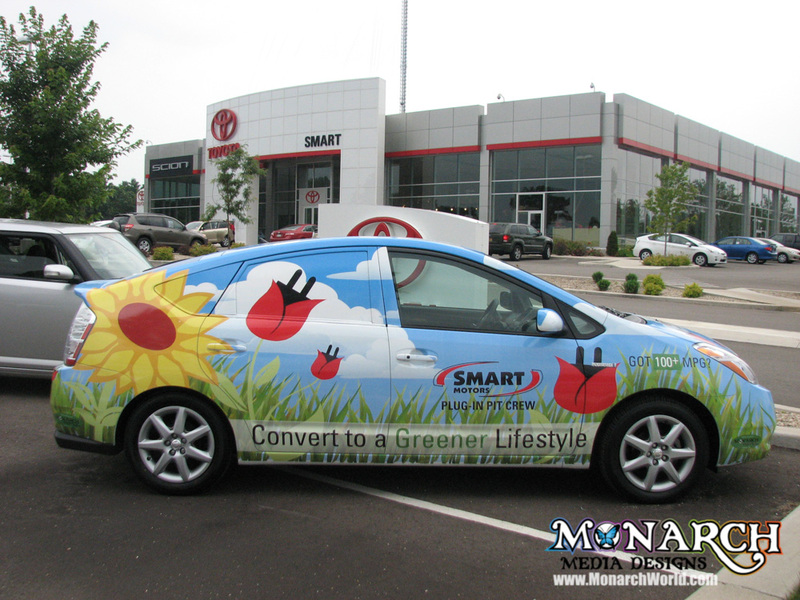 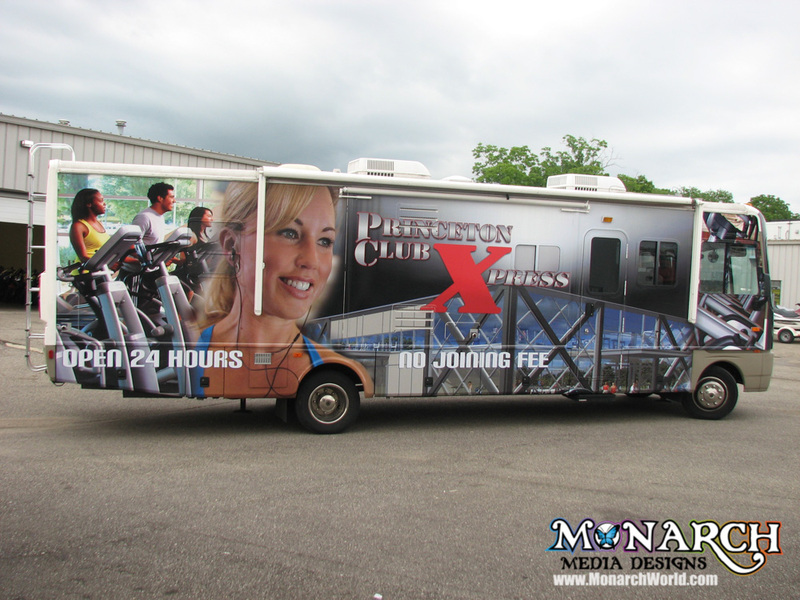 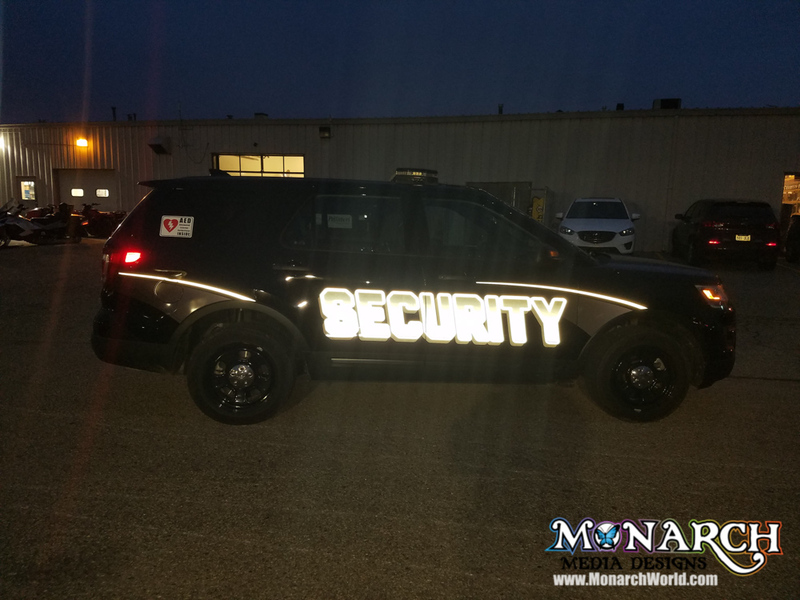 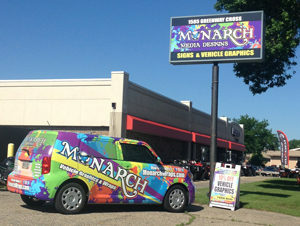 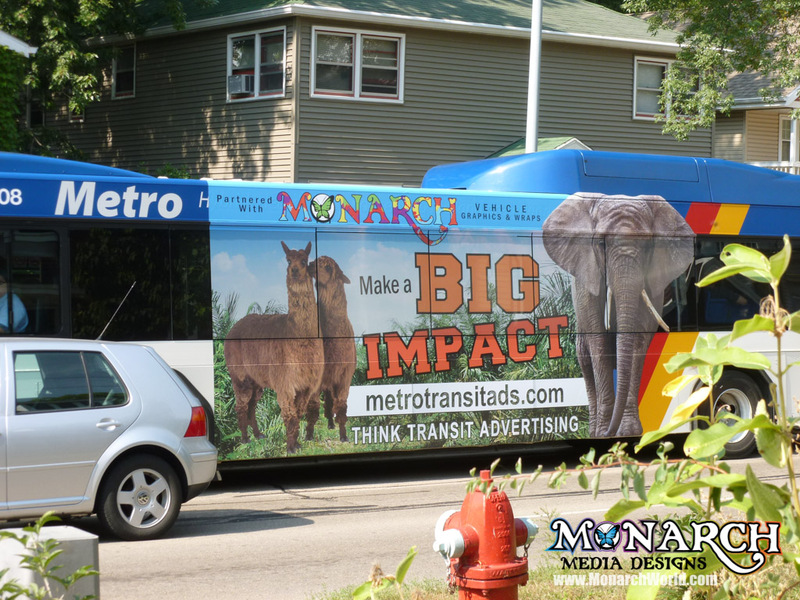 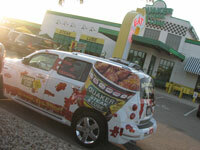 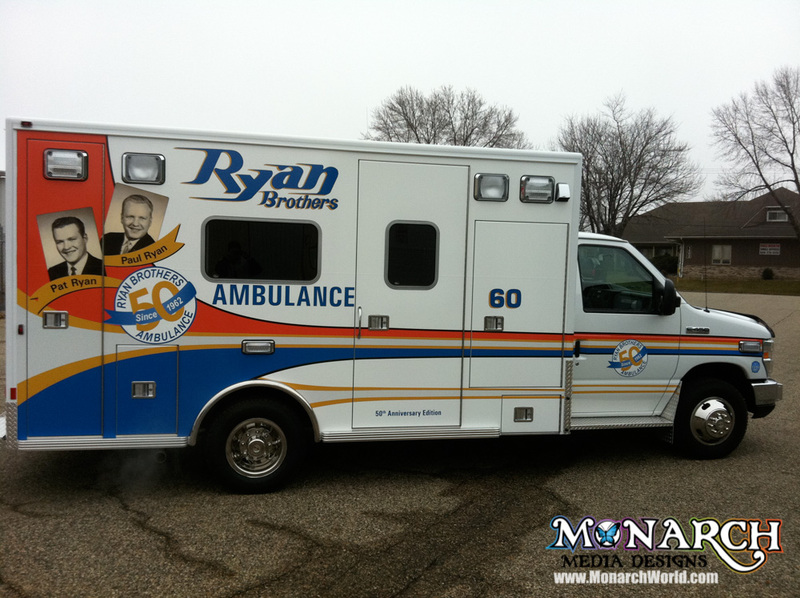 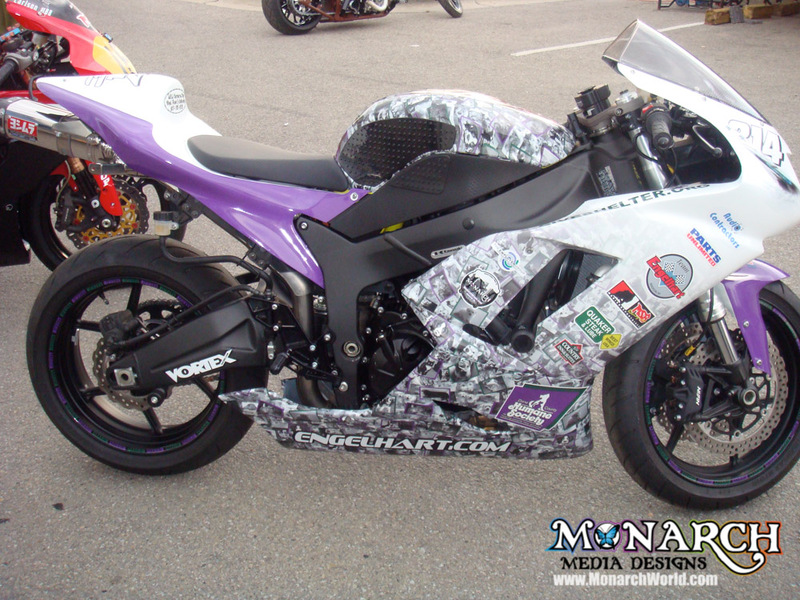 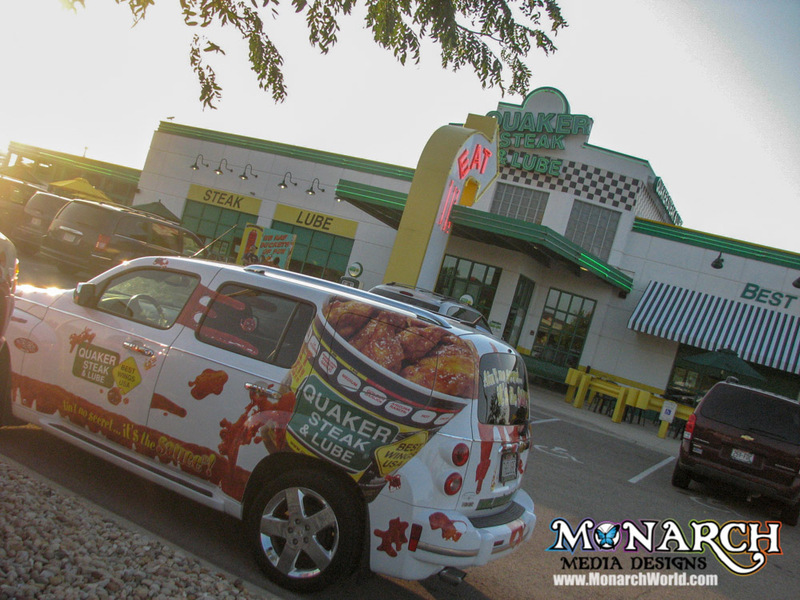 Monarch is the Madison Area’s #1 choice for vehicle wraps, vehicle graphics, signs, banners, and marketing materials. 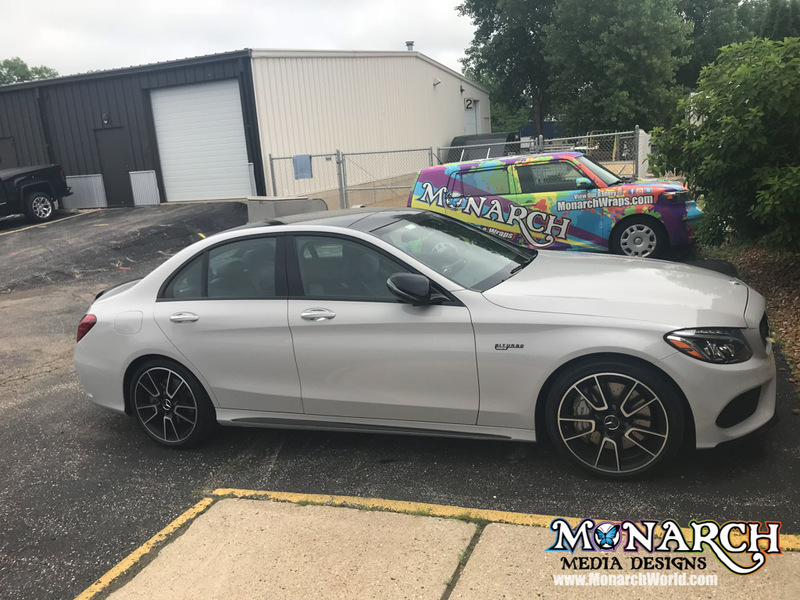 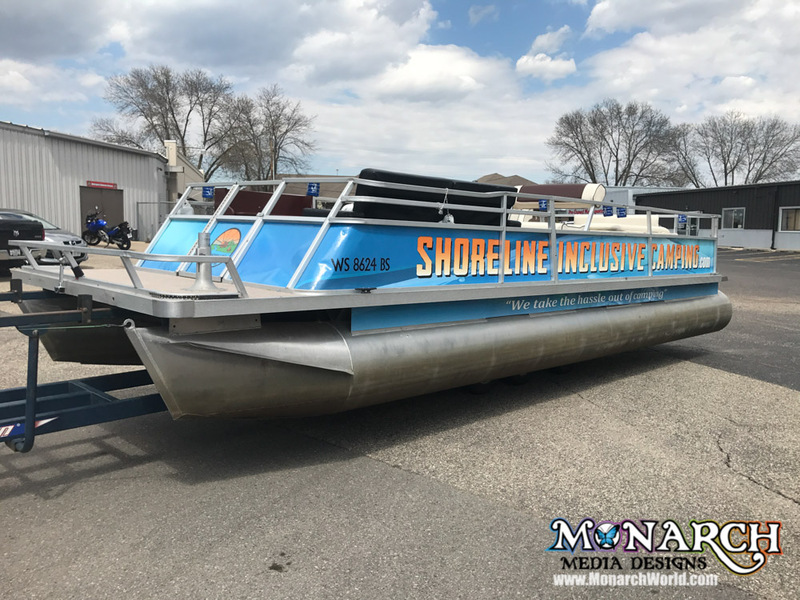 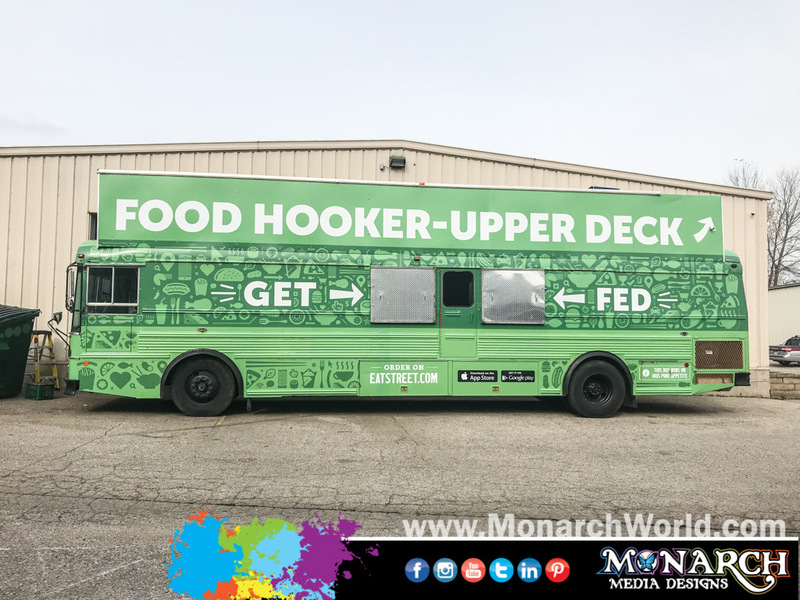 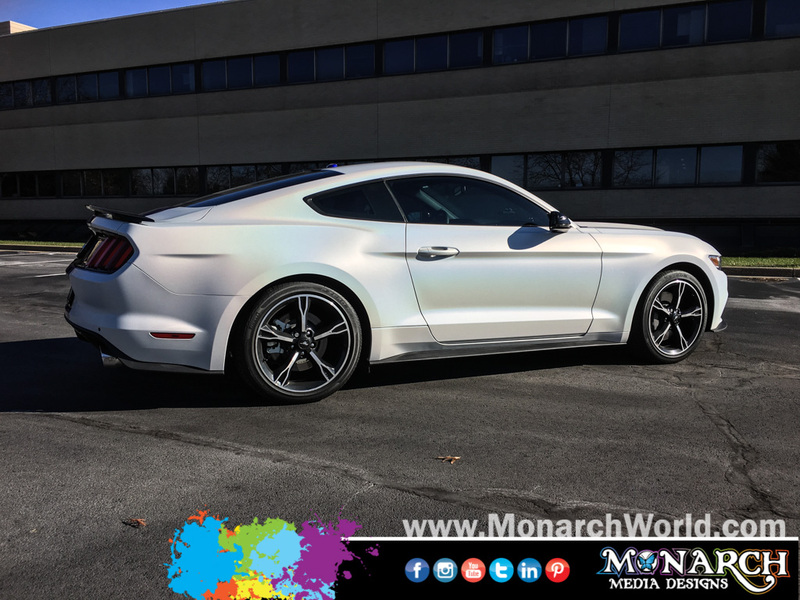 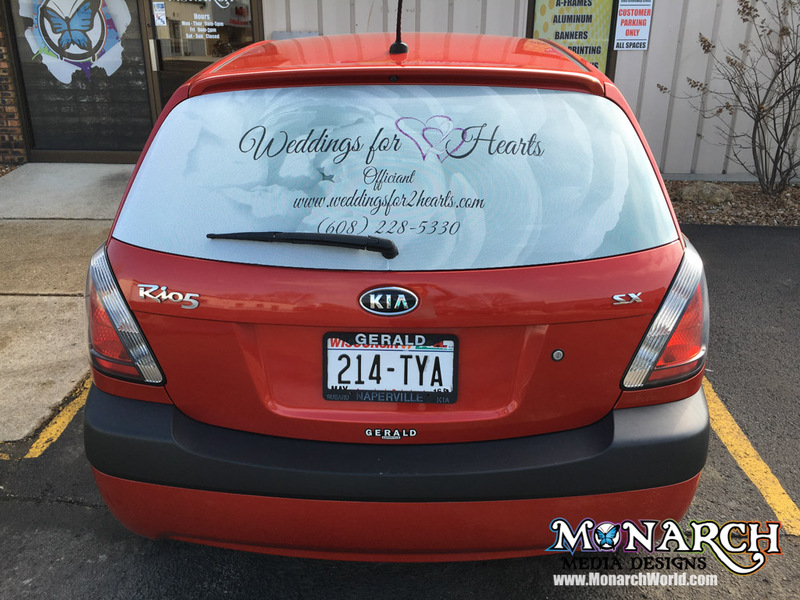 Monarch Media Designs, LLC is a locally-owned sign shop specializing in Vehicle Wraps and Vehicle Graphics. 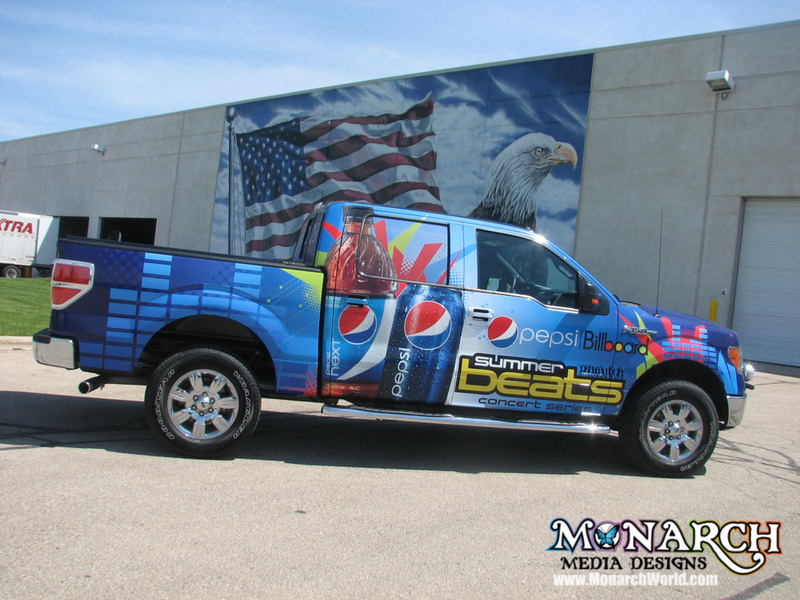 We offer Design, Production, Printing, and Installation of digitally printed graphics for Signs and Banners, Vehicle Graphics, and Vehicle Wraps. 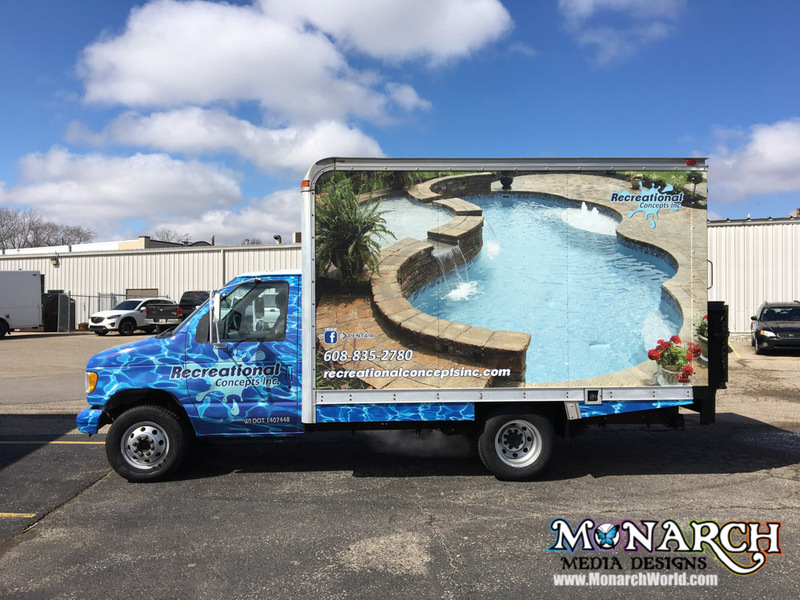 We provide a fun atmosphere for the customers and employees– a family of experienced consultants, designers, printers, and installers who are ready to help you reach your marketing goals. 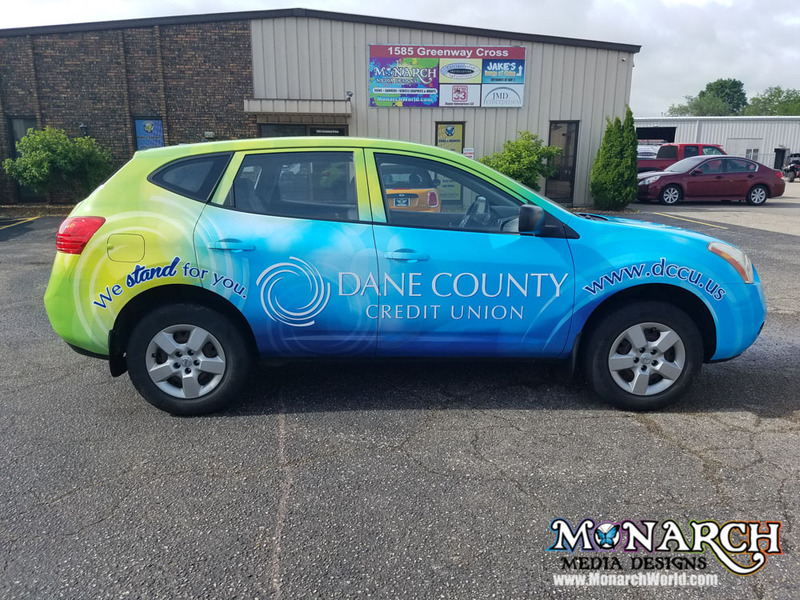 It is rare to find any company in the area that compares with what we can offer for the digital printing needs of small businesses! 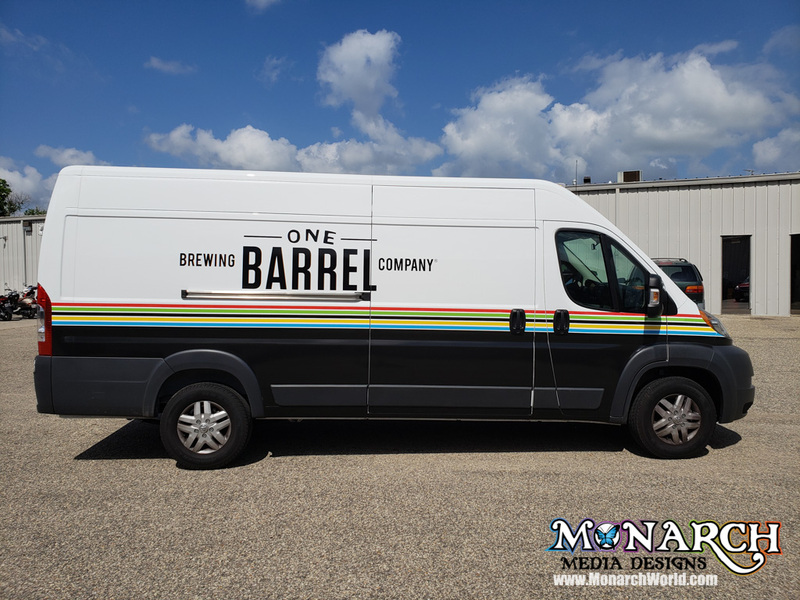 We are Wisconsin’s first, carrying this distinction longer than any company in the state. 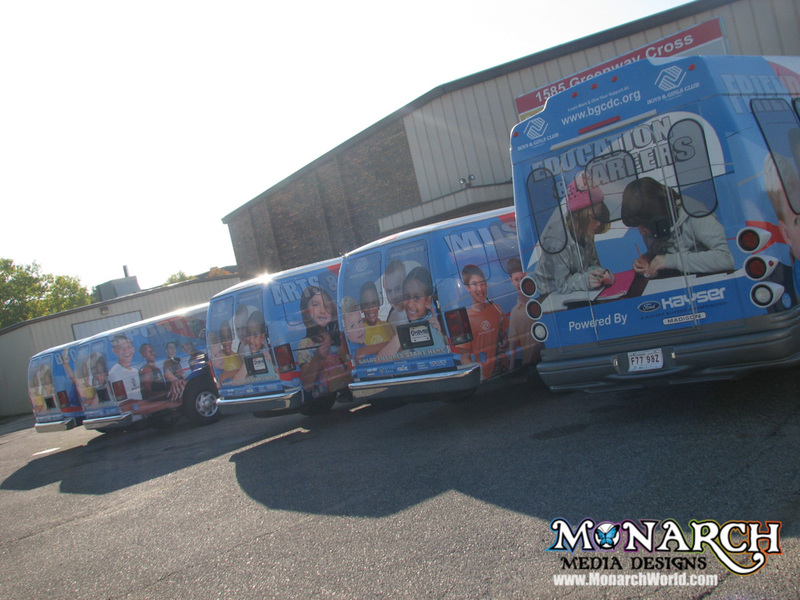 This is a demonstration of our commitment to a quality product and services. 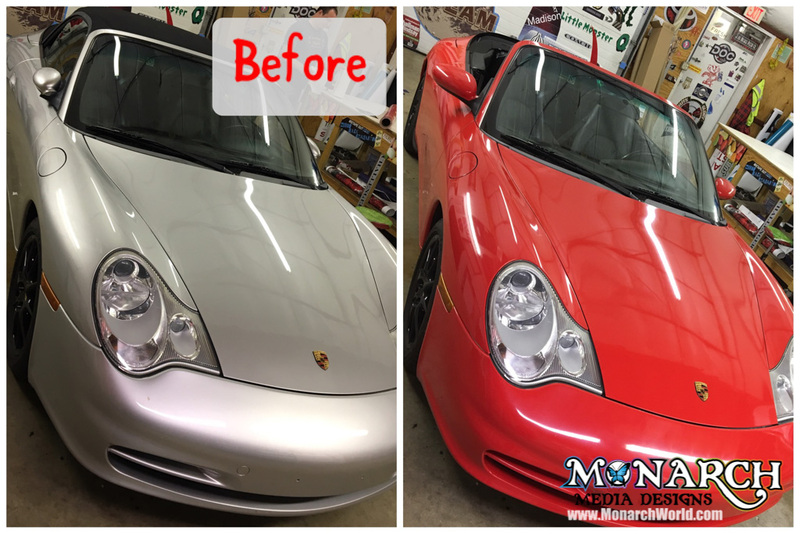 We only use 3M products for all of our vehicle applications. 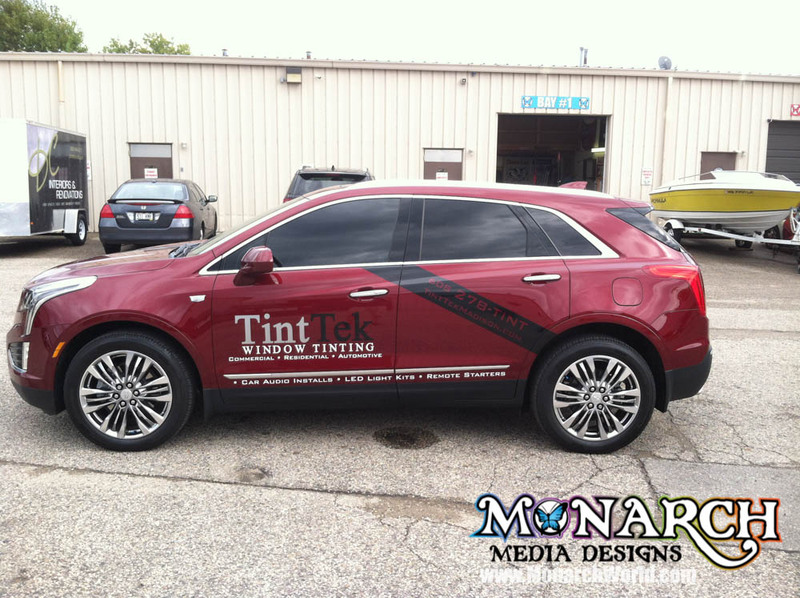 We always provide quality installations you can count on above the rest. 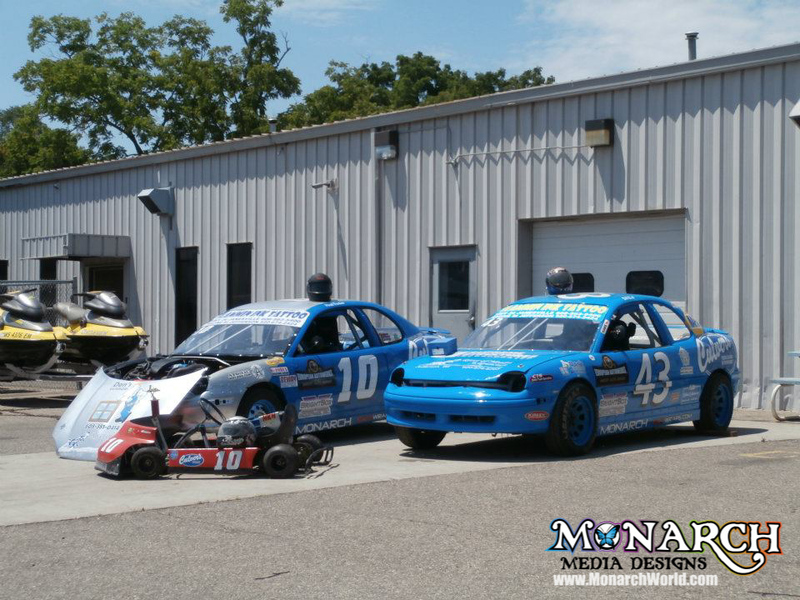 Our gallery shows the wide variety of customers we have had the pleasure of working with. 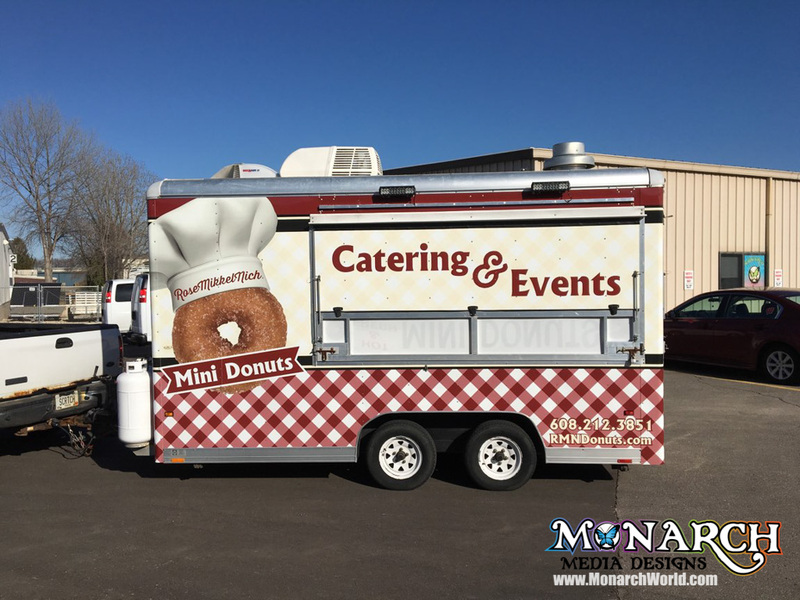 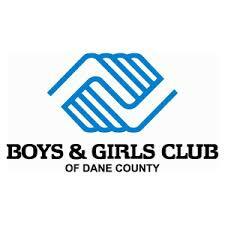 We have worked with companies such as University of Wisconsin Athletics, Pepsi Cola of Madison, World Dairy Expo, Quaker Steak & Lube, Boys & Girls Club, Smart Motors, Princeton Club, City of Madison, Glass Nickel Pizza, Zimbrick, Anytime Fitness, and hundreds of other local restaurants, radio stations, non-profit organizations, small businesses and start-ups. 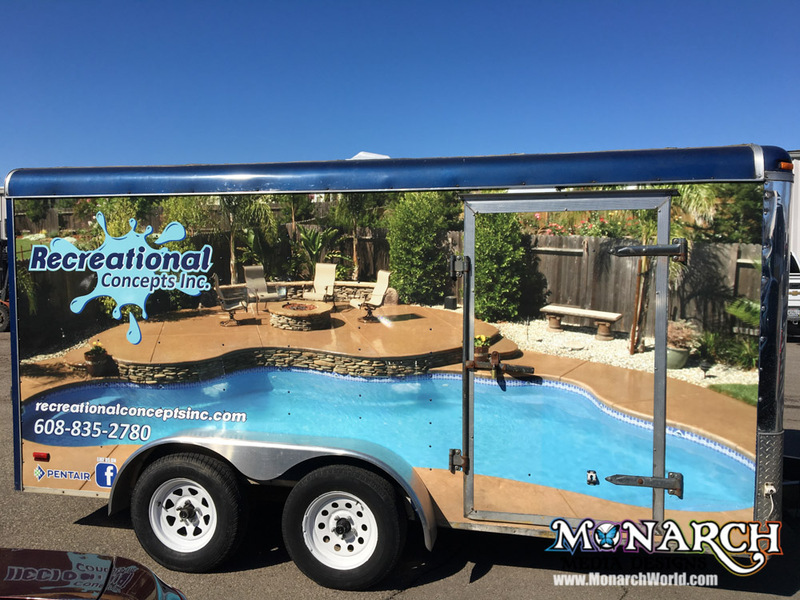 We pride ourselves in putting our best foot forward for our clients, neighbors, friends, and fellow businesses. 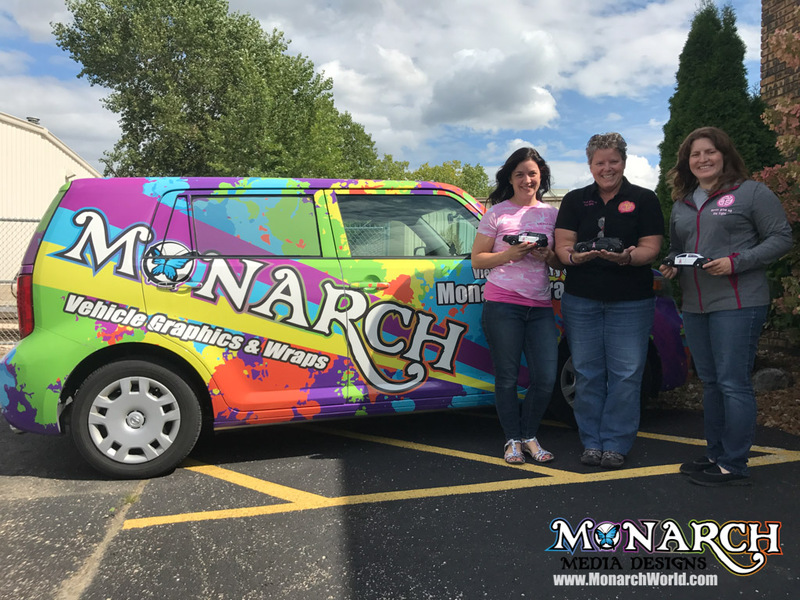 We always stay active in our community, and we even have our own special program called “Kid Wraps by Monarch” that provides a FREE graphics & wrapping service to families in need. 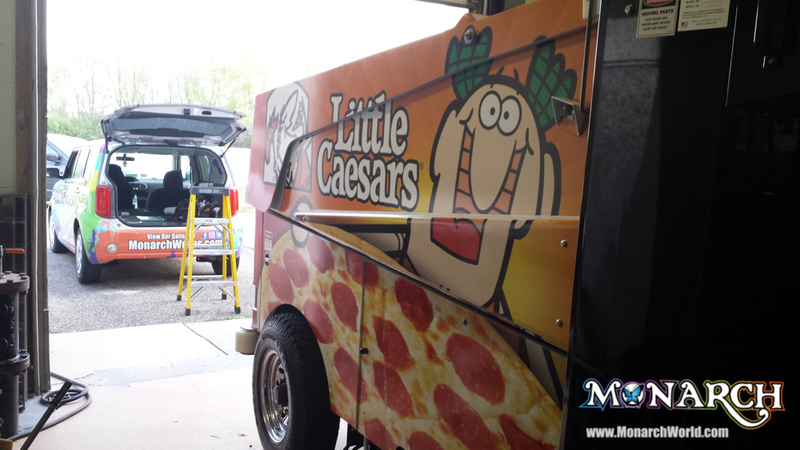 We've been around Madison for a long time doing what we love.